Design Exchange and RBC Foundation have announces the third edition of the Emerging Designer Competition, where innovative design and entrepreneurialism intersect. The national competition provides an opportunity for emerging Canadian designers to gain exposure, while celebrating the immense and diverse design talent in Canada. The competition exist to celebrate and highlight the best of the best among Canada’s emerging designers. 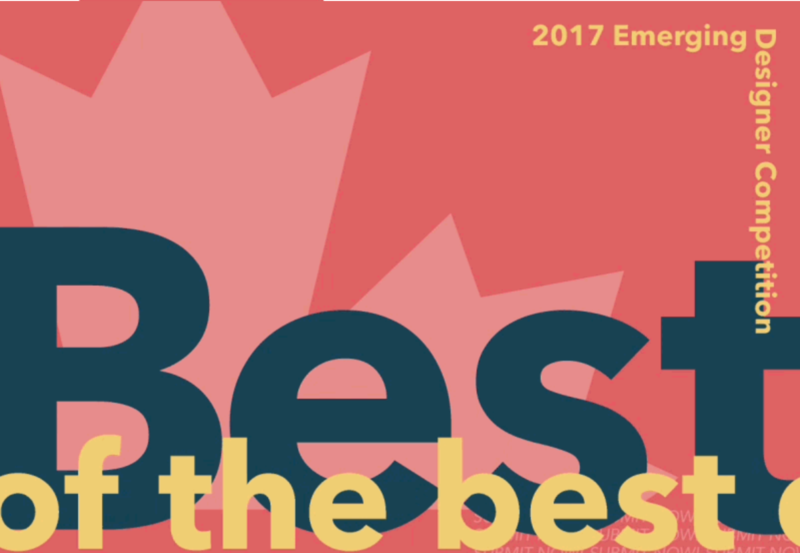 From digital, interior and graphic design to architecture and fashion design, the national competition provides a significant opportunity for emerging Canadian designers to garner recognition and kick-start their practices. The winner of EDC will receive a cash prize of $10,000 and will be partnered with a curatorial mentor to develop an exhibition for DX opening in November 2017 that will run through to Toronto’s internationally celebrated design week in January 2018. The overall winner will be selected by a panel of expert jurors who will review every eligible submissions. Best of category awards will be presented and category winners will receive a cash prize. All winning works will be exhibited at Design Exchange. The People’s Choice Award, presented by Caesarstone, recognizes the public’s favourite submission. The award will be designed by the 2015-16 Emerging Designer Winner, Alexander Josephson, and is manufactured by Caesarstone. In 2013-14, Lukas Peet was awarded as the overall winner and went on to co-found ANDlight, a lighting company in Vancouver with clients that include Sun Life Financial and Shopify. Plus, he has designed works for UmbraShift, and has gone on to win several other prestigious awards. In 2015-16, Alexander Josephson was selected as the overall winner and has continued to make headlines with his work at PARTISANS, the architecture firm that counts Toronto’s Bar Raval, Georgian Bay’s Grotto Sauna, and the revitalization of Toronto’s Union Station among its best-known projects. Participation is open to all Canadians across all design disciplines, between the ages of 18 and 35. Designers are asked to submit a digital copy of their portfolio, a copy of their CV, and a short biography. The deadline for submission is September 1st.